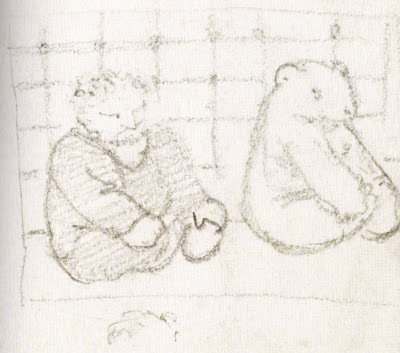 30.5 by 25.5cm., 12 by 10in. 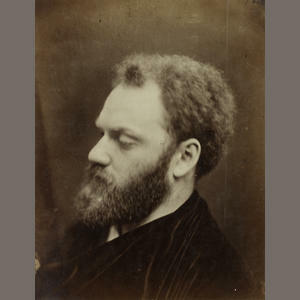 ‘Waugh sympathised with Rossetti, but he also admired Rossetti’s integrity in forming the Pre-Raphaelite Brotherhood, with an aesthetic creed independent of convention. 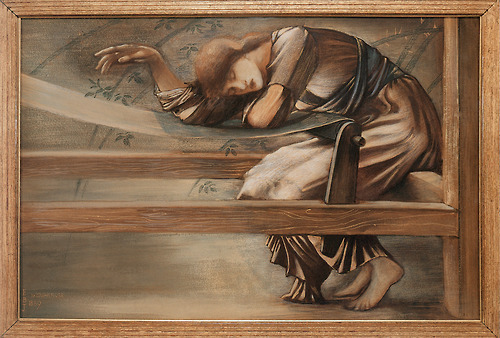 Waugh also admired Rossetti’s perseverance once the movement had drawn the attention of contemptuous critics. 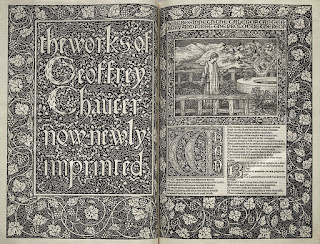 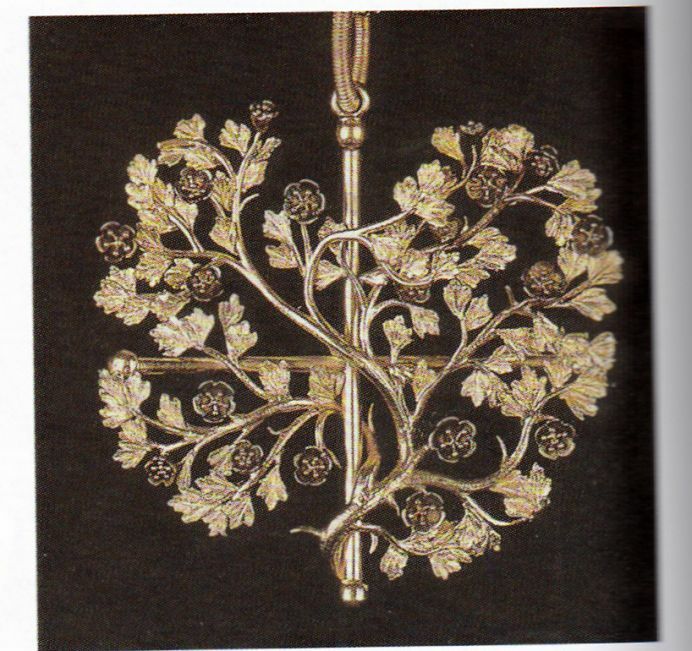 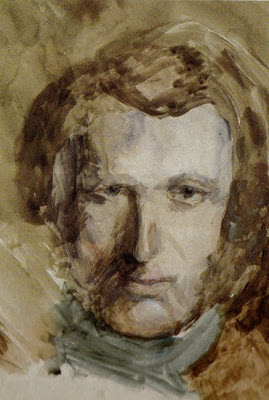 Rossetti’s example showed that there was virtue, perhaps even reward, in following one’s own artistic instincts.’ John Howard Wilson, Evelyn Waugh, A Literary Biography, 1924-1966 , 2001, p.32. 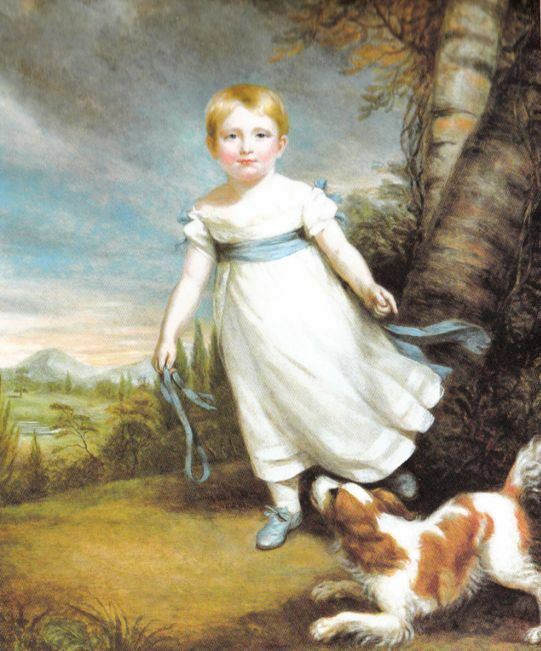 Woman Holding a Dog has a distinguished and interesting provenance. 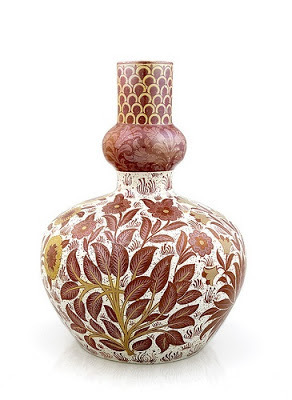 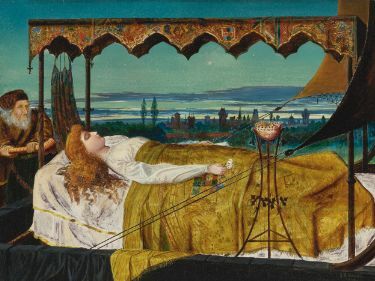 It was owned by the Bournemouth solicitor Kerrison Preston and the novelist Evelyn Waugh, two collectors who held a sustained interest in Pre-Raphaelite painting in the twentieth century when the popularity of Victorian art was at its lowest ebb. 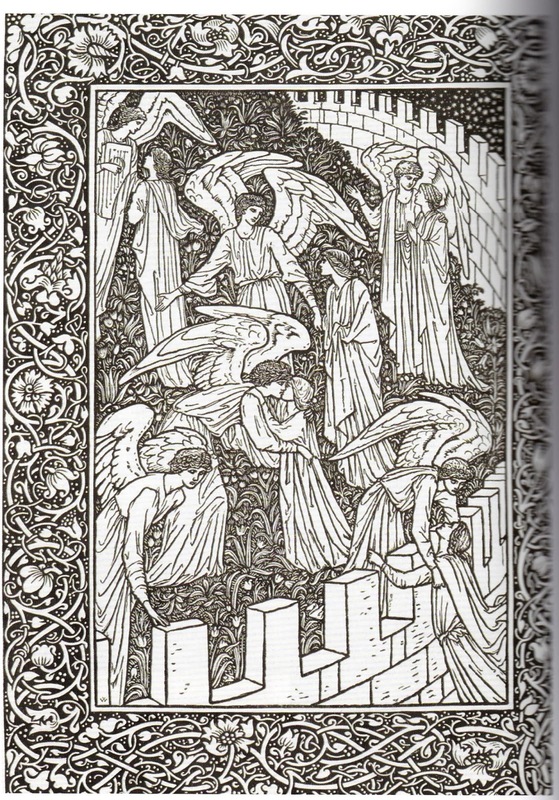 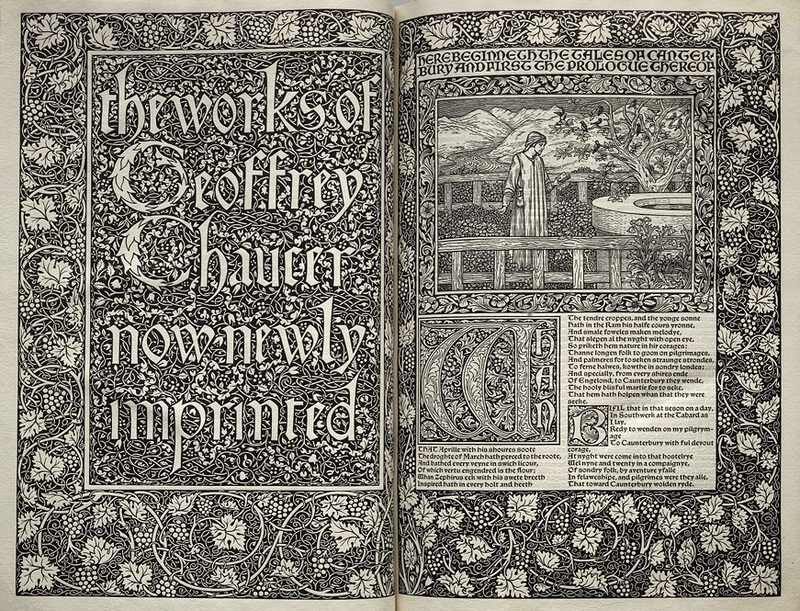 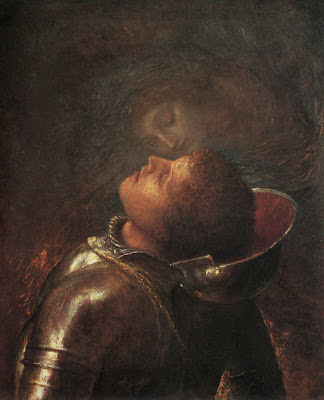 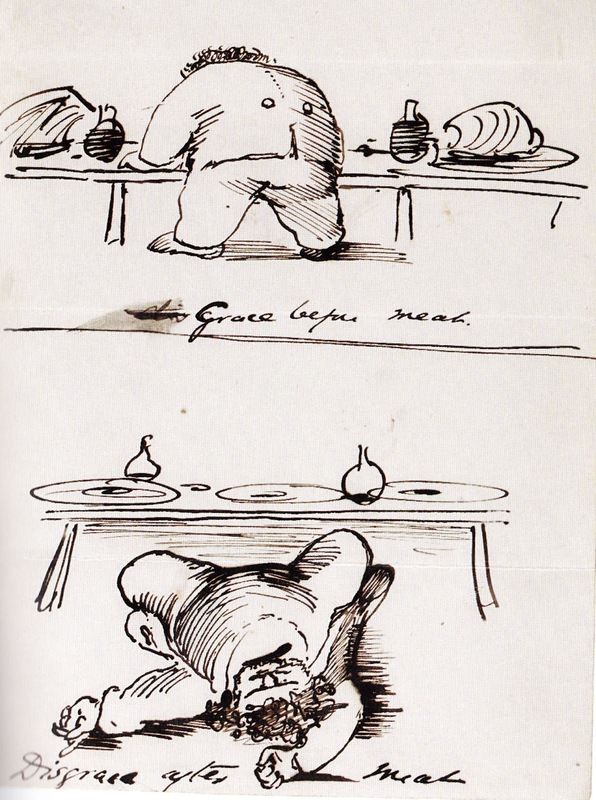 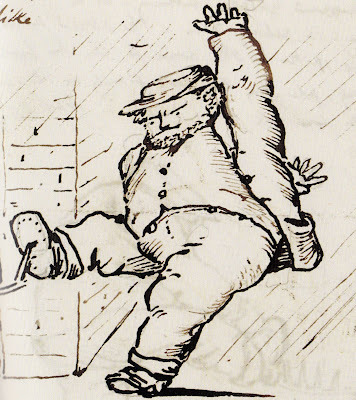 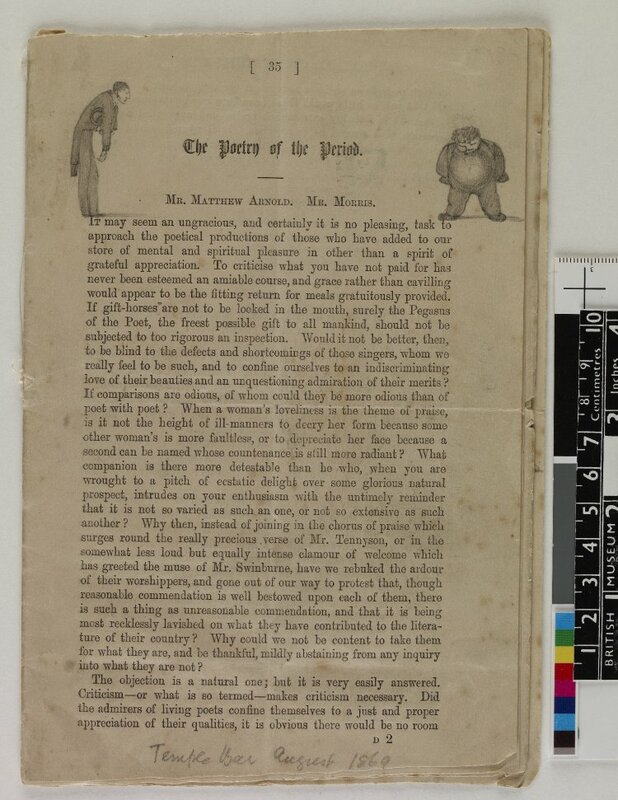 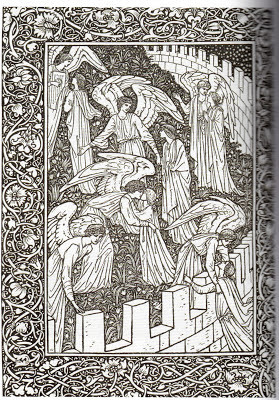 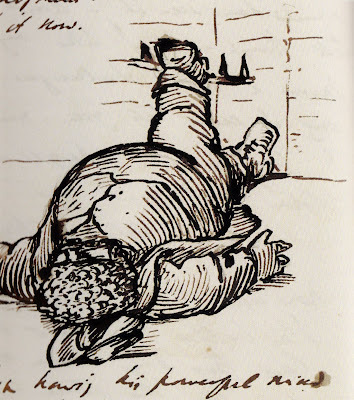 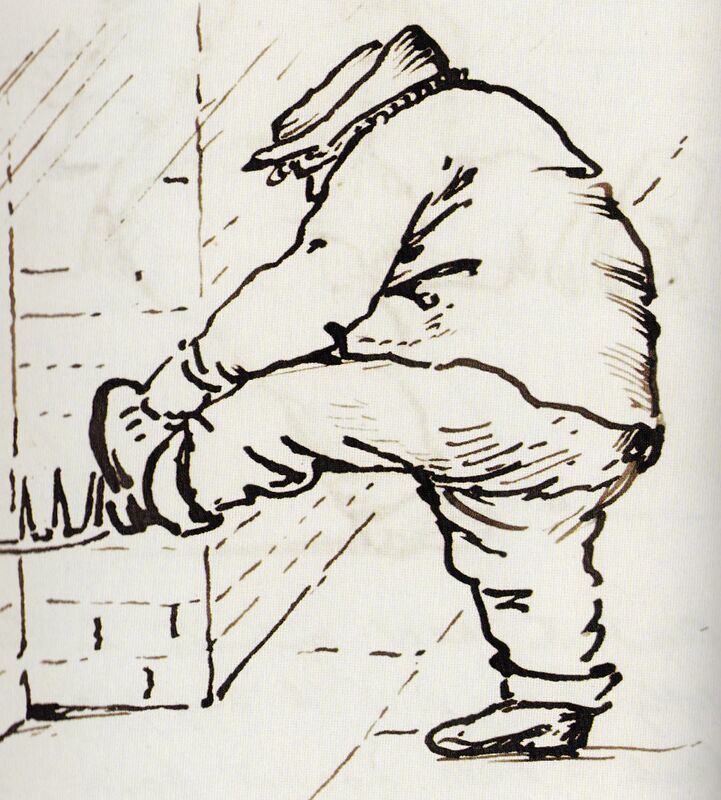 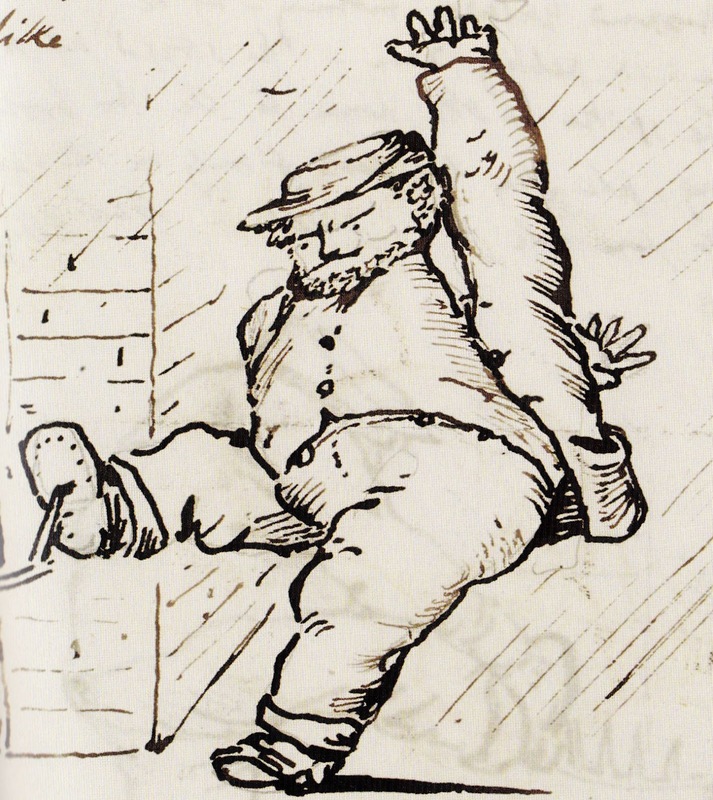 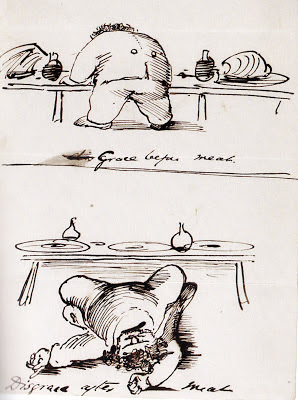 Preston reproduced the drawing in his book Blake and Rossetti in 1944. The second owner was Waugh, who acquired Victorian paintings assiduously and was related by marriage to William Holman Hunt. 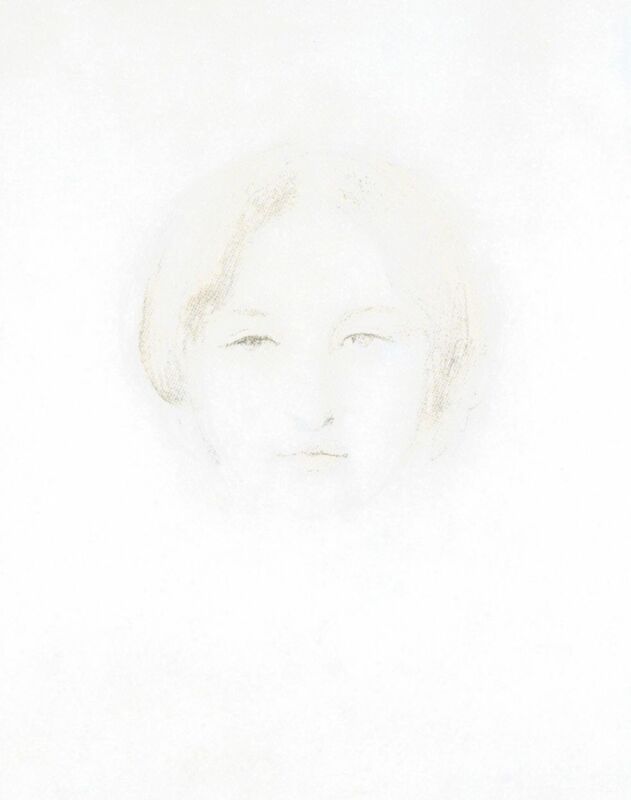 There has been some speculation regarding the model for this drawing. Modern experts have suggested that it depicts Agnes 'Aggie' Manetti, a Scotswoman who posed in a professional capacity for Rossetti for several paintings and drawings in the early 1860s. Rossetti felt that she had a profile that had some similarity to Napoleon and the model for this drawing has similar strong aqualine features to Aggie. 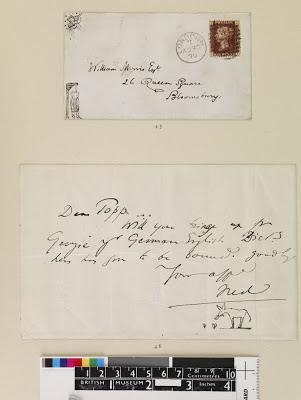 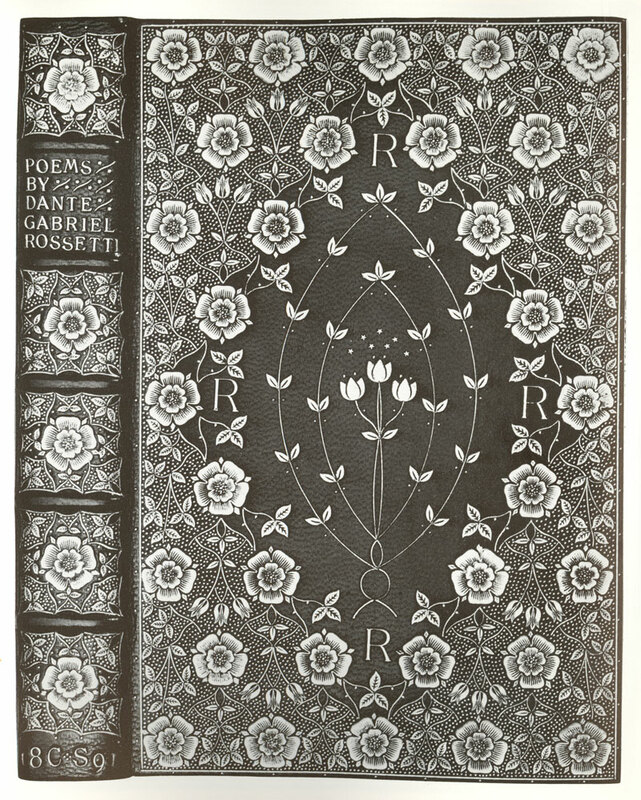 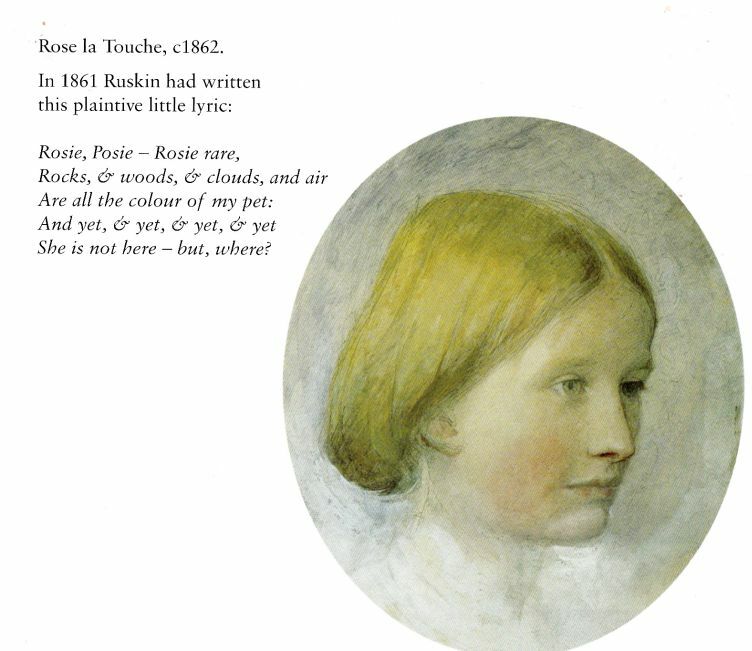 It is recorded in George Price Boyce’s diary that she was sitting to Rossetti in October 1862. 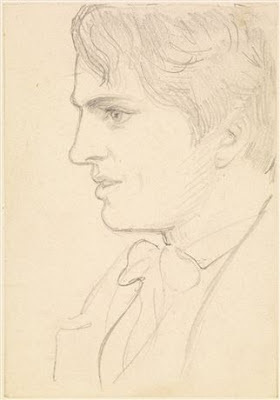 However Preston felt that the identity of the sitter was Fanny Cornforth. 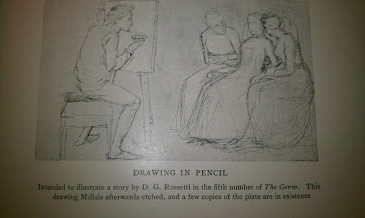 The earthy and buxom Cornforth was almost certainly Rossetti’s mistress even before his marriage to Lizzie Siddal in May 1860. 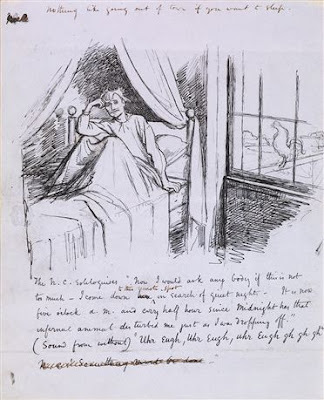 She became his housekeeper when, following Lizzie’s death in February 1862, he settled at Cheyne Walk in Chelsea. 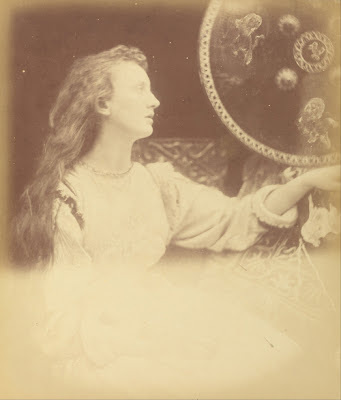 She was the model for several important pictures from the 1860s, including The Blue Bower, Fair Rosamund and Lady Lilith and for numerous drawings and sketches. 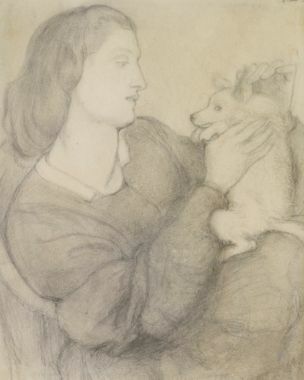 The drawing dates from the early 1860s and the tender way the woman caresses the ears of the lap-dog suggests that the model was one that the artist knew well enough to depict so intimately. 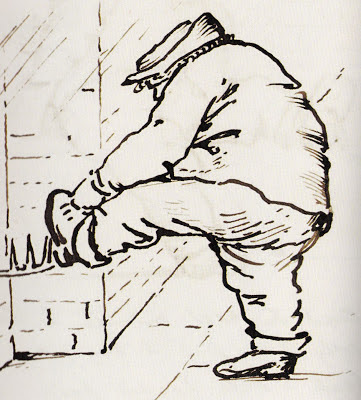 This perhaps points towards Preston being correct about the identity of the sitter. 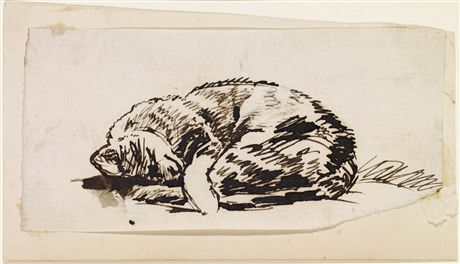 Although Rossetti was well-known as a lover of animals, this is the only known picture by him in which a model is shown with a dog. 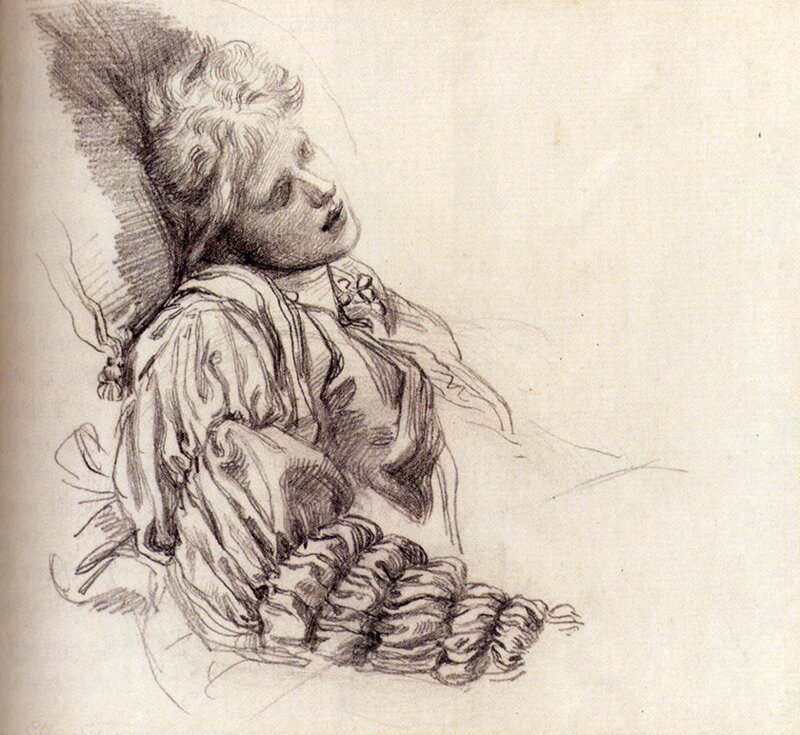 But fast asleep, and lay as tho' she smiled. Painted in 1864 Elaine was almost certainly the first of Grimshaw's depictions of the Lily Maid of Astolat of Tennyson's idylls of the King and is datable to the year after another Tennyson subject, Guinevere (Christie's, London, March 26, 1987, lot 99). Dressed in white and lying on her bier on the deck of the boat that will convey her to her death, Elaine is holding a lily in her hand and with her hair laid out around her on the pillow. 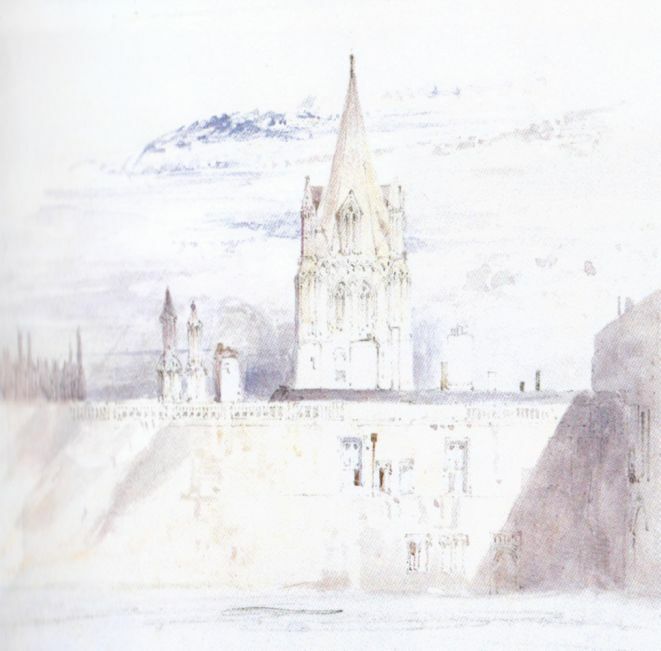 The background is a romantic city-scape of Gothic turrets and minarets against a beautiful evening sky which is in keeping with the mood of the subject. 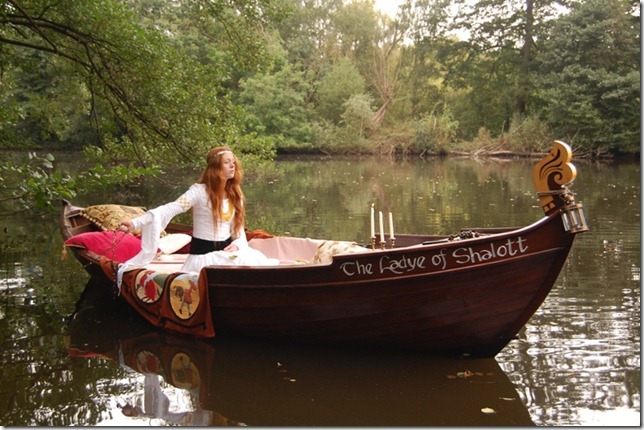 The story of Elaine's last voyage fascinated Grimshaw for many years and in the 1870s he painted several depictions of Elaine, and the similar subject of the Lady of Shallot, being steered downstream by hooded figures. 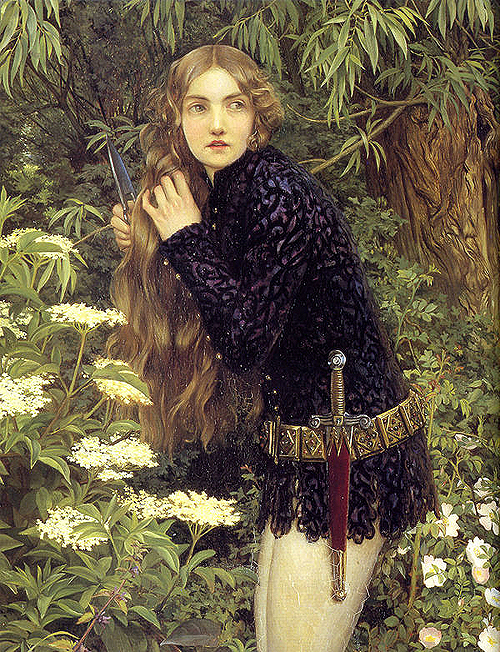 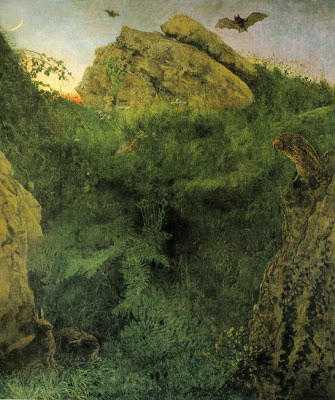 Grimshaw named his daughter Elaine (1877-1970), whilst three of his other children were all named after characters from Idylls of the King (Enid, Lancelot, Arthur). 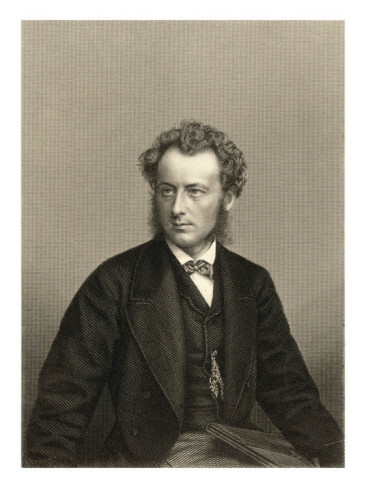 In 1862 the young Grimshaw was invited to exhibit at the Philosophical Hall in Leeds. 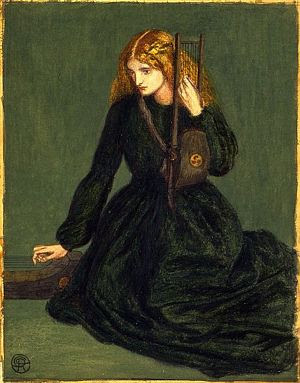 Among the pictures in the exhibition was Dante Gabriel Rossetti's St George and the Princess Sabra lent by a local collector, Miss Ellen Heaton. This picture, and probably others like it by Rossetti, clearly influenced Elaine and Guinevere, sharing the same intense colour and Medievalism. 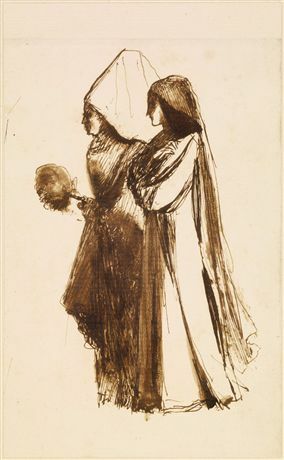 Juliet and her Nurse ? 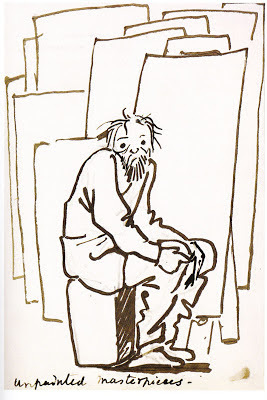 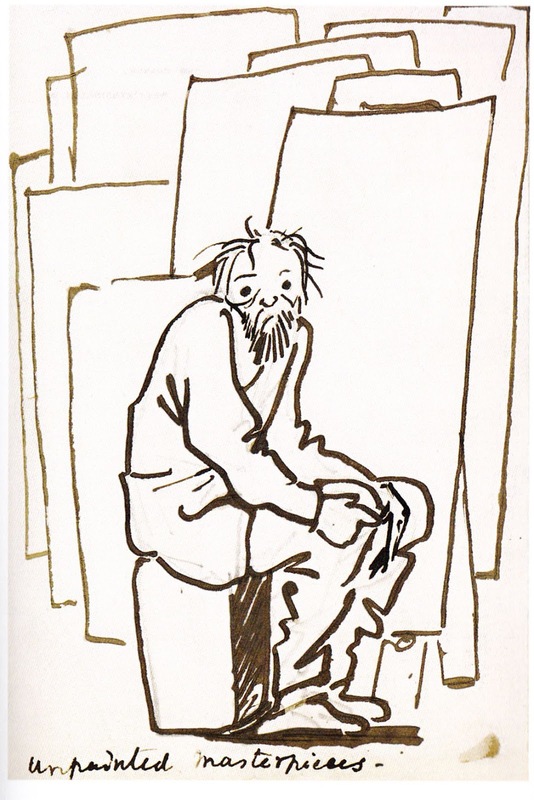 The number of sketches that Ned did is actually rather overwhelming, but they show a fascinating side. 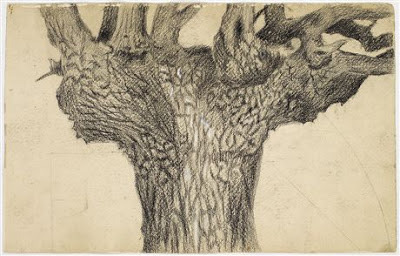 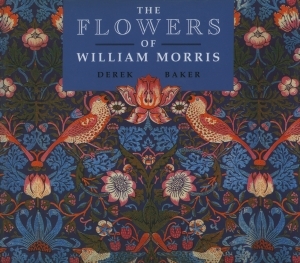 Many of the sketchbooks were donated to the British Museum by May Morris in about 1939. 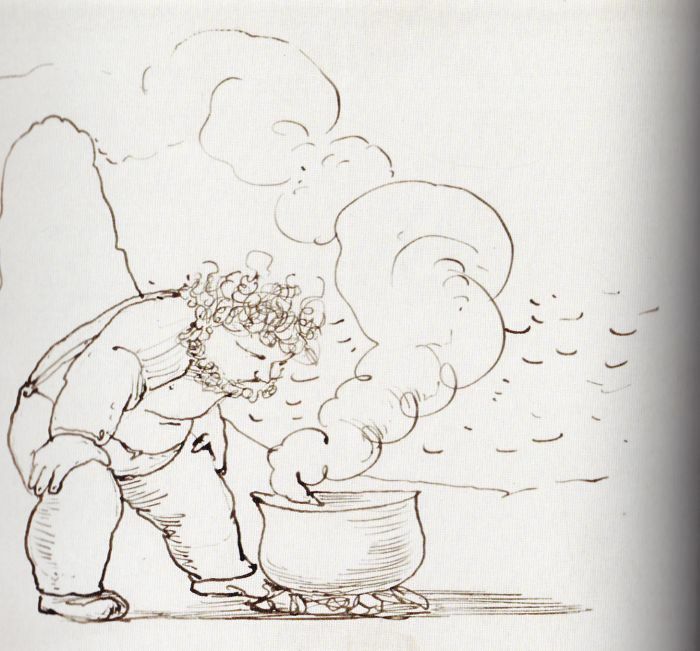 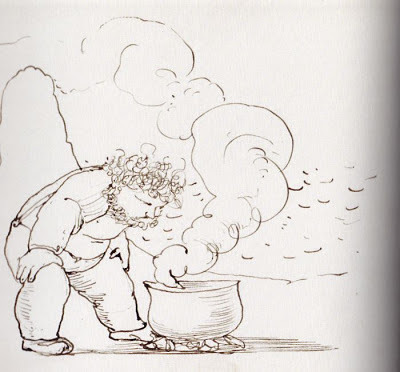 William Morris cooking in Iceland, inspired by his trip of 1871. 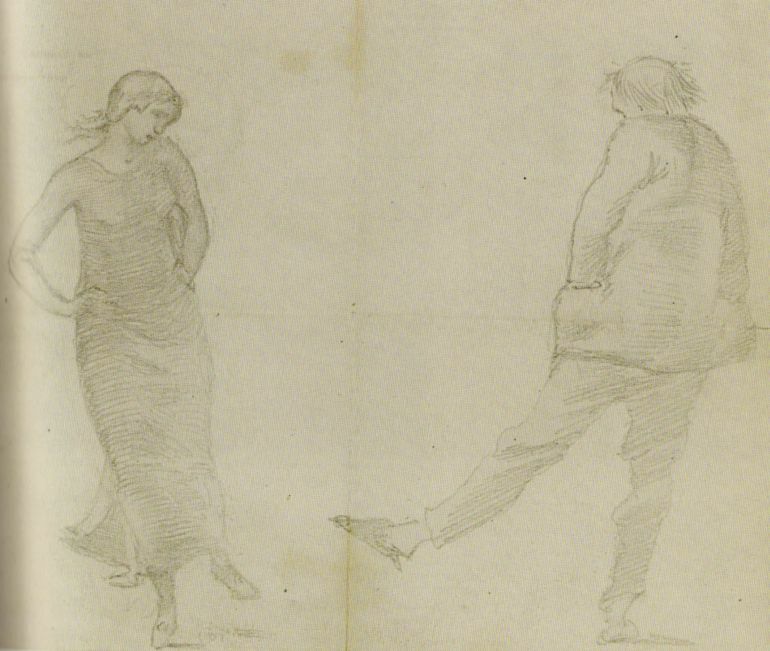 Another brilliant sketch of Ned being taught to dance by Margaret in the 1880's. Its not sure if this is a fantasy or a real dance that little Kate's mother proposed in London. The artist's young wife, the actress Ellen Terry, who was 30 years his junior – having been introduced by mutual friend Tom Taylor, they married on 20 February 1864 just seven days short of her 17th birthday. When she eloped with another man after less than a year of marriage, Watts was obliged to divorce her. 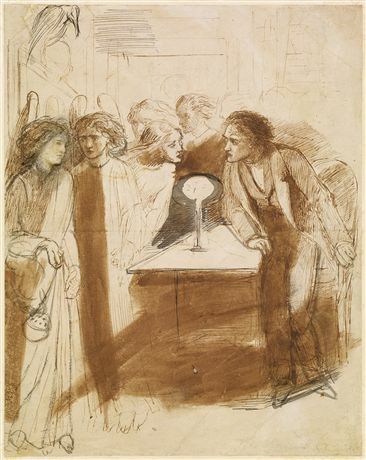 An illustration to Browning's poem 'The Laboratory', set in the eighteenth-century, this is Rossetti's first work in watercolour. 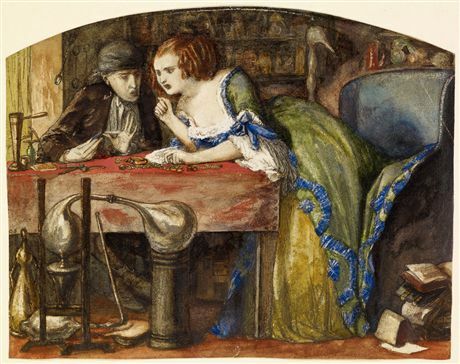 An alchemist seated in his labortaory accepts jewellery from a woman in payment for poison to destroy her rival. 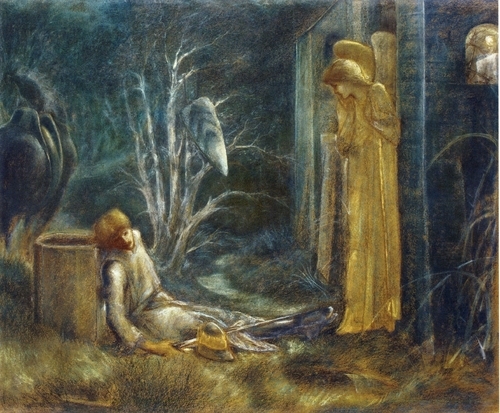 The painting illustrates the lines 'In this devil's smithy Where is the poison to poison her prithee?''. An illustration for Edgar Allen Poe's poem 'The Raven' (1845). 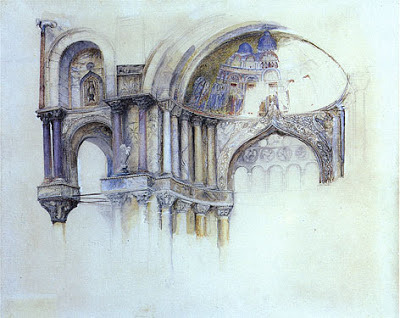 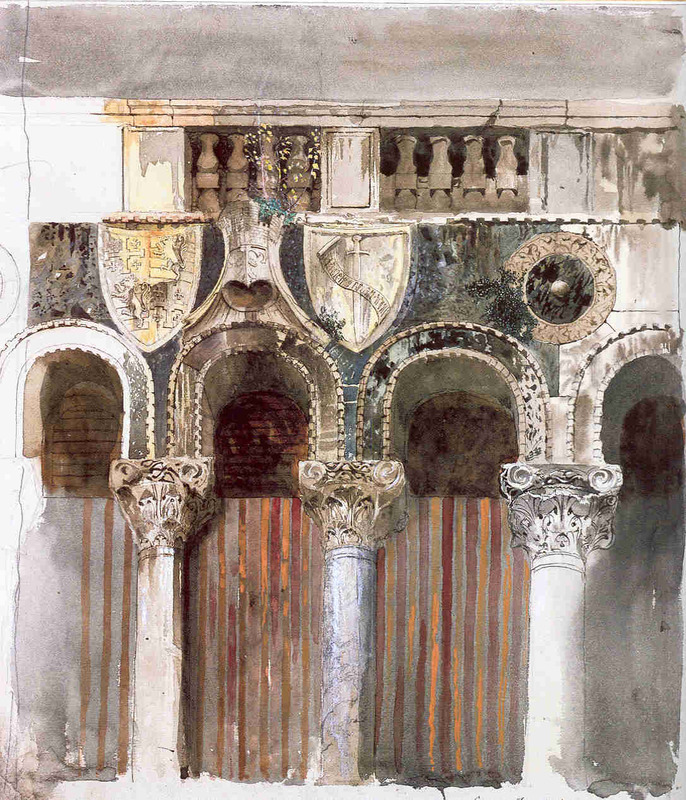 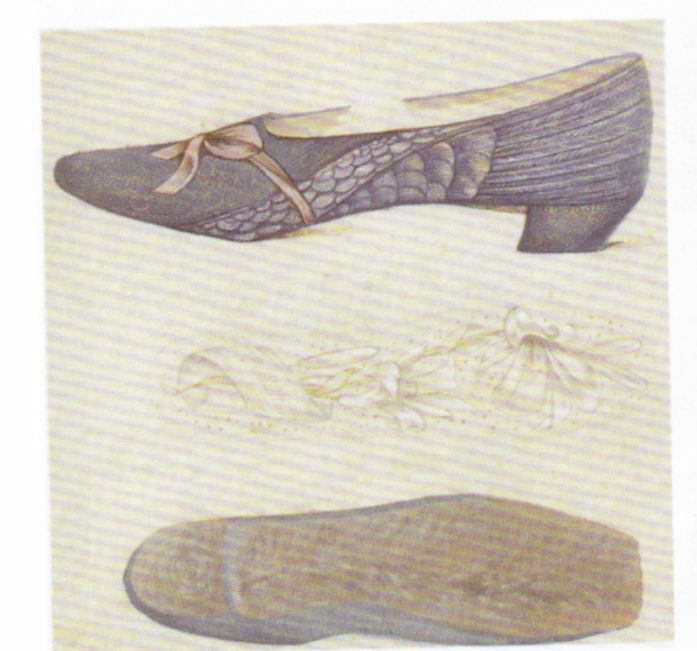 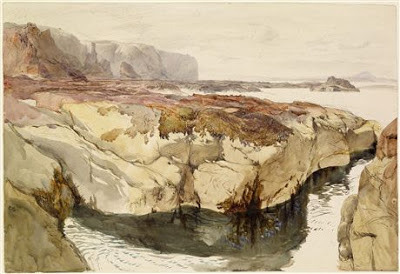 Ruskin executed this watercolour on a visit to Dunbar. 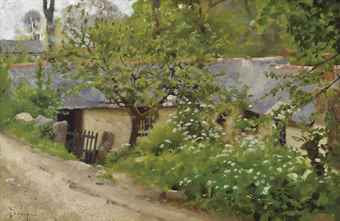 He stayed in the town for a few days before visiting William Macdonald, a young family friend, in Pertshire. 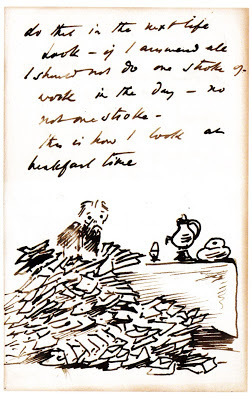 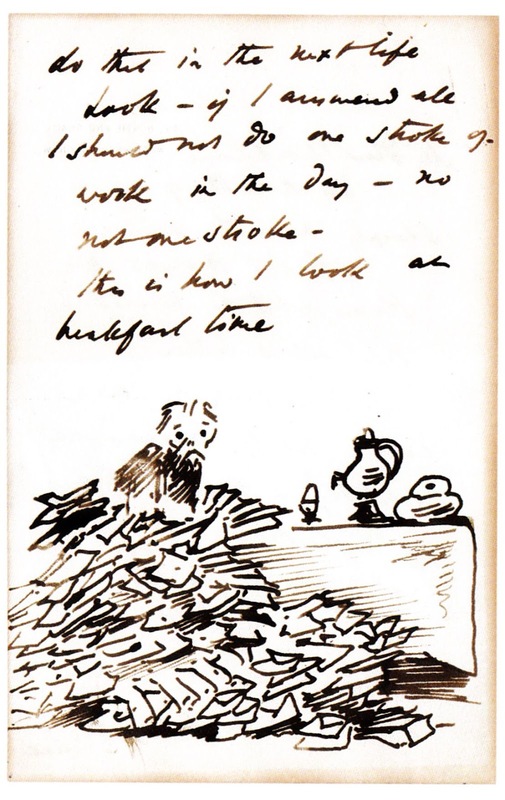 Ruskin wrote of making this study in his diary noting that he had 'had a happy day, drawing by the seashore' (Diary, 21 August, 1847). 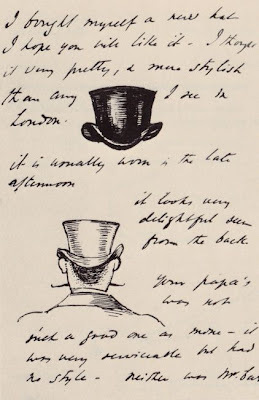 The artist worked from close observation. His immediate interest was to record, rather than compose a picture. This can be seen in the detailed way he has drawn the rocks, the seaweed and the movement of the water. i have lost my half of the poor cat. 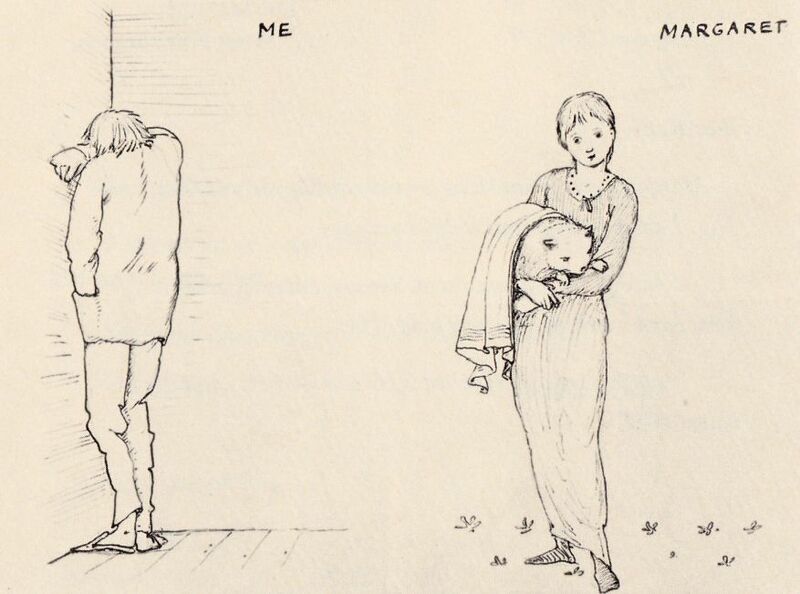 Margaret is very angry with me. 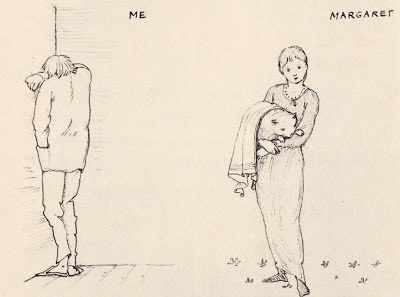 she has put me in a corner, but it isn't the corner where I lost my half.